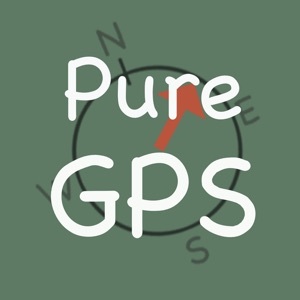 Pure GPS stores and directs users to waypoints using latitude and longitude coordinates. 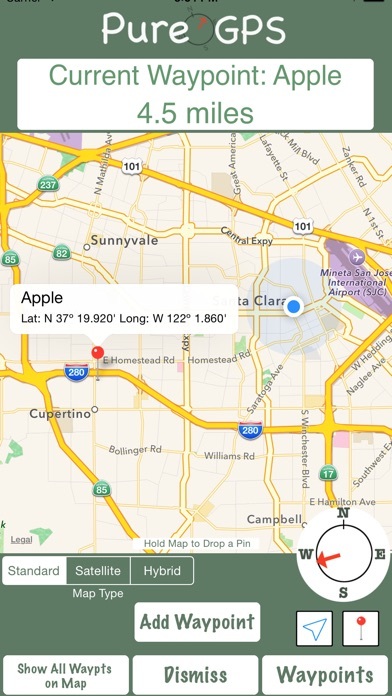 Pure GPS delivers the necessary functionality to utilize the iPhone's built-in GPS in a simple clean interface. The best thing about Pure GPS is its simplicity. If you plug in the latitude and longitude, Pure GPS will direct you to your destination. It's as easy as that! With Pure GPS there is no need to understand a complicated interface. Pure GPS features maps, metric and customary measurements, speed and heading. 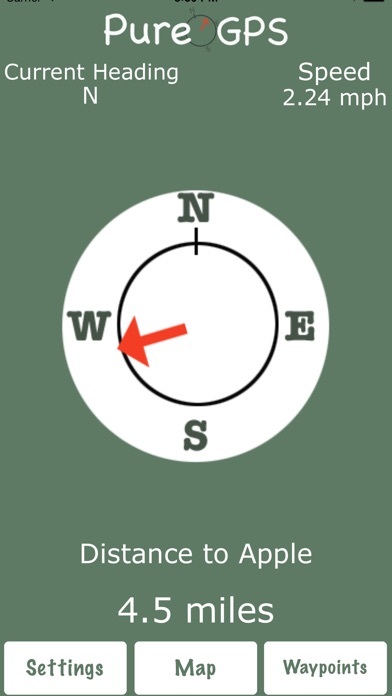 Locations can be entered into Pure GPS by entering in coordinates, by marking the user's current location, or by a long press on the map. Now users can share a waypoint with a friend through email! Users can store multiple waypoints and navigate to them. The user can also save their current position as a waypoint to navigate back to later. In addition, Pure GPS can notify you when you get close to your waypoint even while running in the background. Pure GPS does not require users to create an account or share their waypoints in any manner. If you have any comments, questions or concerns, please contact us! You can do so through the app in the Settings page. We'd love to hear from you. Please note that continued use of GPS running in the background can dramatically decrease battery life.